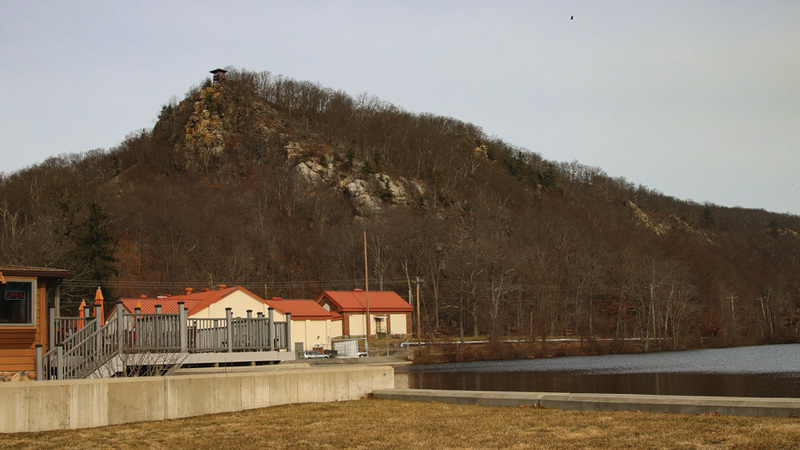 Picatinny Peak rises above Picatinny Lake, once known as Clifford Pond. In 1749, Jonathan Osborn built an iron forge along Burnt Meadow Brook, one of many forge farms developed by European Colonial ironmasters to smelt the rich magnetite ore deposits exposed along the geologic faults and outcrops throughout the New Jersey highlands. One of three bloomery forges along this Rockaway River tributary, Osborn’s operation sat below a prominent outcrop then known as “Piccatinny” at Clifford Pond where the stream was dammed to generate power for the machinery needed to process the ore. Charcoal derived from the wide-ranging forests that covered the area provided fuel for the furnace and for the chemical mix that extracted metallic iron from the ore. The resulting mass of glowing iron, or “bloom”, was then beaten into wrought iron by the waterwheel-driven forge hammer. Osborn’s Middle Forge sat between two settlements established by Jacob Ford, Sr. around 1750. Downstream at Mt. Pleasant there were two forges, a mine, a charcoal tract, farmland, gristmill, sawmill, a tavern and a store. Upstream, Denmark Forge also contained an extensive farm, a rare commodity in the rocky highlands, with orchards, meadows, hayfields and cropland to support essential draft animals as well as the tenants. The Burnt Meadow Brook forge masters did business at a slim margin, selling iron bars to merchants in nearby Dover. Historical marker for the Denmark Forge at Lake Denmark. Osborn’s forge was later secured by Ford, who then passed it on to his son. Col. Jacob Ford, Jr., who built the large Georgian style mansion in Morristown that served as Washington’s headquarters during the Revolutionary War, leased the Middle Forge in 1778 to the Swiss ironmaster, John Jacob Faesch, who operated it in conjunction with the nearby Mt. Hope Furnace until 1799. Later, a new forge, built by Moses Phillips, Jr., replaced Osborn’s original, then passed onto Samuel Righter who operated it into the 1850s. The Ford-Faesch House in Mt. Hope was constructed in 1768 by Colonel Jacob Ford Jr., builder of the Ford Mansion in Morristown. In 1772 Ford leased the house and its associated ironworks to John Jacob Faesch. 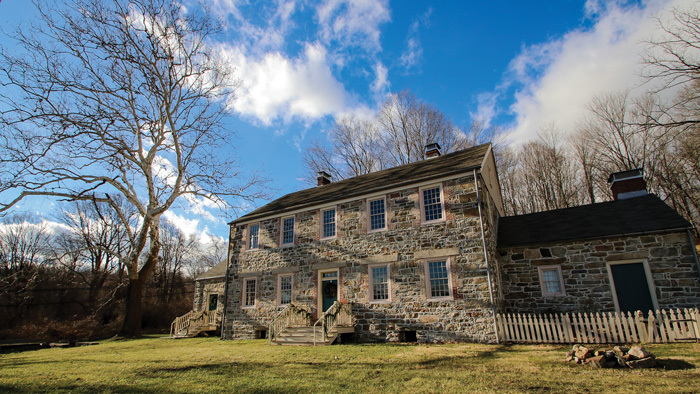 The Historical Society of Rockaway Township is responsible for the ongoing management and restoration of the house. Work on the depot’s infrastructure began with simple frame offices, storehouses, blacksmith shops and dwellings. Employing an army of skilled masons, Magazine No. 1 was ready to store powder by 1882, built with 354,000 common bricks, 195,000 pounds of iron, and 1,021 barrels of cement. Four more magazines would be constructed during the 1880s, each capable of storing ten to twenty thousand barrels of explosive powder. 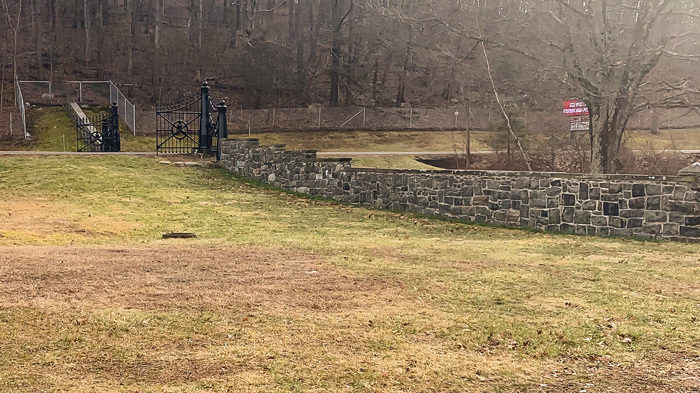 In 1884, depot mason Thomas Robinson prepared the stonework for the Cannon Gate at Picatinny’s entrance, embellished with four columbiad cannons as gateposts with cannon balls on top of each post and the Ordnance seal in the center of both doors. By 1887, the Wharton and Northern Railroad connected to the Delaware Lackawanna and Western and the Central Railroad of NJ in Port Oram (Wharton), and ran through the powder depot to the Erie Railroad in Green Pond. The depot began loading powder into silk bags for artillery charges in the 1890s, and by 1903 a new magazine to store high explosives, and a plant to load explosive to armor-piercing shells were nearing completion. To add to this, in 1891, the Army transferred 315 acres for the construction of the adjacent Lake Denmark Naval Ammunition Depot (NAD), where another magazine, filling houses, and an impressive commander’s residence soon appeared on the hill (now known as Navy Hill) overlooking Picatinny Lake. By 1907, the installation was selected as the location for a smokeless powder factory, changing both the depot’s mission and its name to Picatinny Arsenal. Manufacturing and loading shells and bombs with explosives was dangerous work, and the technologies developed to produce the “smokeless” replacement for black powder often involved toxic elements. Still, the arsenal’s status as a significant local employer continued to grow for building construction, administration, work in the powder factories and chemical laboratories, and at the proving grounds that Picatinny constructed for testing the new ammunition. At the end of World War I there were 2,167 workers, many who took the train and trolley from Wharton and Dover, some as far away as Morristown. Although occasional explosions and fires sometimes caused deaths, the hazards at Picatinny were not considered in excess of those at any other industrial factory of the day. On Saturday, July 10, 1926, lightning struck and exploded a storage magazine at the Lake Denmark NAD with such force that the ground shook and glass shattered as far as Denville, four miles away. Every building within three thousand feet of the explosion was completely destroyed, and the spread of fires, detonations and falling shells and debris left much of Picatinny Arsenal devastated. The shockwave destruction and resulting evacuation throughout the valley sent 350 refugees to the National Guard Armory in Morristown by the next day. However, because the blast occurred after work hours on a Saturday afternoon, only nineteen people died, including twelve Marines fighting fires. There was at first some local resistance to the arsenal’s reconstruction, but much more sympathy and astonishment. When the Army allowed the public to drive through the blast area on Sunday, August 1, twenty-five thousand tourists-for-a-day made the trip. Largely in conjunction with the New Deal’s WPA, both Picatinny and Lake Denmark NAD were completely rehabilitated by 1937. In order to maximize safety the base was segregated by zones designated for explosives manufacture and storage, non-hazardous manufacture, and administration, engineering and research. As World War II began, Picatinny was the Army’s major loader of ammunition and aircraft bombs, with nearly eighteen thousand employees at peak, turning out millions of bomb and artillery fuses, boosters, primers, and countless other items well into 1942 when private industry began to shoulder that production. After the war, the workforce declined to six thousand. By the mid 1970s most weapons and ammunition manufacturing had ceased at Picatinny, and today the arsenal is known as the Joint Center of Excellence for Armaments and Munitions housing the headquarters for the Armament Research, Development and Engineering Center. President Theodore Roosevelt signed the Antiquities Act in 1906, the first legal protection for archaeological resources, prohibiting the destruction of all prehistoric and historic sites on federal land. The National Historic Preservation Act of 1966 requires federal agencies to take into account the effects that their activities may have on historic properties, and therefore necessitates inventories of those areas to determine the presence or absence of such properties. The Archaeological Resources Protection Act of 1979 governs the excavation of archaeological sites on federal and Indian lands, and the removal and disposition of archaeological collections from those sites, an irreplaceable part of the nation’s heritage. These laws engender federal military installations such as Picatinny to document their lineage with roots that date back centuries. 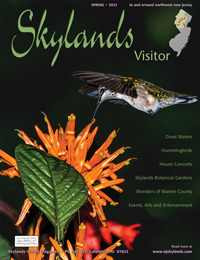 Picatinny performs this due diligence with its Cultural Resources Program (CRP). Since 2007, the man in charge of that task has been Jason Huggan, a professional archaeologist who has since been dedicated to the development of a comprehensive and systemic document in compliance with Federal requirements: The Integrated Cultural Management Plan (ICRMP). Today, Picatinny Arsenal includes more than six-hundred buildings, hundreds of auxiliary structures, and associated land management areas along approximately eighty-five miles of roads. Having surveyed approximately 1,025 of the 5,850 acres now contained in the arsenal, Jason has thus far documented thirty-six historic sites (iron forge remains, colonial farmsteads and homesteads, mining sites, graveyards, stonewalls and associated land tracts, and a Revolutionary War era cemetery), twenty-six Native American archeological sites (rock shelters, campsites and lithic scatters), and three multi-component sites of both a historic and prehistoric nature. My friend and colleague, Anna Maria Caldara, has documented trees, rocks, and places where indigenous people gathered and/or lived, and she is the author of Lenape Culture in Stone and Wood, a survey of trees and rocks sculpted by the Lenape that remain in the Delaware River watershed. The essay and photos that describe these monuments convey their sacred nature, as well as an aesthetic that can only be described as universal. Ms. Caldara (Annie) is also Jason’s friend and neighbor. When Jason told her about some of his discoveries in the woods high above the Picatinny Arsenal, Annie asked if she could come see. Jason graciously complied and offered a tour of Picatinny’s historic districts as well. We meet at the Picatinny Visitor Center at the State Route 15 entrance, get into Jason’s truck, and proceed up Parker Road (named for the installation’s first commander), towards the trademark Cannon Gate. Jason explains that the driveways off the road used to lead to a cluster of homes built by Lewis Spicer in the 1850s known as Spicertown, and acquired by the Army in 1941. Officers lived in the houses until the 2000s when they were demolished, as they were not eligible for the National Register. Through the Cannon Gate, we take a quick left and stop to view the stonewall that Mr. Robinson built in 1885 after setting the gate, the original boundary line for the base. Jason also mentions the abandoned railbed that extends into Wharton. Back on Parker Road we pass a golf course on one side, opposite two resplendent homes built more than a century ago that now house the ranking and second ranking officers on the base. 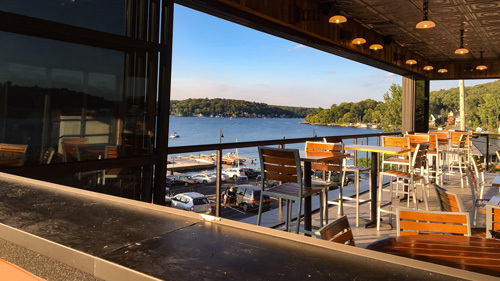 The country club atmosphere quickly turns businesslike as we stop at the front of Building 151. Built in 1929 as post headquarters, this grand structure is now used for general administration, but the historic import of the district that we have entered is evident by a collection of imposing armaments—some of which date to the Civil War—scattered across the building’s expansive front yard, testament to the Army’s power. Front and center is the Middle Forge monument, an assemblage of actual tools recovered from Osborn’s original workings at Clifford Pond (now Picatinny Lake). In his book, Picatinny: The First Century, Dr. Patrick Owens notes that although Middle Forge and its neighbors were involved in munitions production only for a brief time during the American Revolution, this monument seems to imply that they were destined to a purpose common to the arsenal. 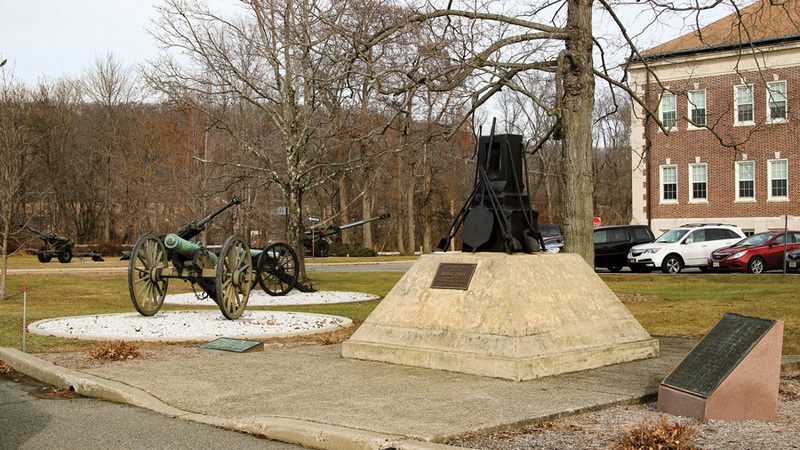 Monuments at Picatinny’s general administration building include armaments that were originally part of the Saratoga Park exhibit at the Frankford Arsenal in Philadelphia and tools found at the Middle Forge site. We turn down Farley Ave., named for Picatinny’s second commander, passing Building 115, a former fire engine house dating to 1884, one of few buildings salvaged after the explosion of 1926. Then a series of houses built in the late 1930s, or refurbished by WPA workers, line the road along with a maze of multi-use structures. Despite the extensive acreage, “space is very tight on the arsenal,” explains Jason. “We have a lot of wetlands and with the 1926 explosion there is still the potential for ordnance beneath the surface that we have to watch out for.” Magazine No.1 is still here from 1880, aluminum sided and numbered building 307. Magazine No. 2 is now an interior chamber deep inside the current command building, added after the explosion and now also under renovation. Although the phrase refers to engineering and manufacture, the inscription above the entrance, “Life Cycle Management”, is a sober reminder of the arsenal’s lethal mission. 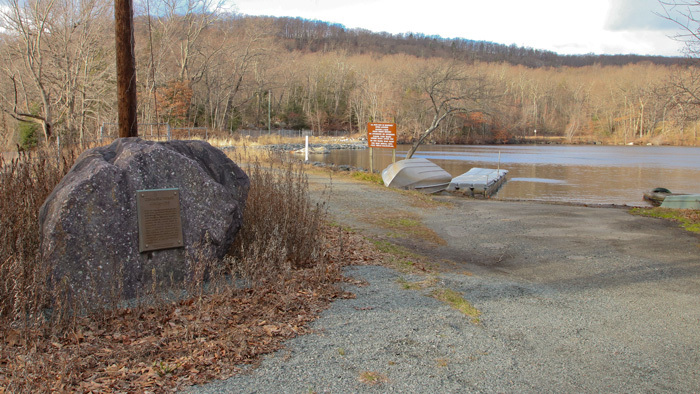 When we arrive at the edge of Picatinny Lake, where Osborn once pounded ore into iron, Jason recounts that human history, including the lake’s geologic swampy prehistoric past, where he notes archaeological evidence of human habitation. As he goes on to explain the contamination of much of the land from decades of a relentless explosive testing, and the herculean task of remediation at this Superfund site, we gaze at Picatinny Peak high above, imagining the native peoples that once roamed there. Back in Jason’s truck, we head up the hill towards what is now the Picatinny Ordnance Testing Area, past the old Navy installation where the 1926 explosion occurred, twenty-foot-deep craters where buildings used to stand well beyond the fence line. Past the checkpoint, Jason signs us in as visitors to this secure area then drives further until we park and get out for a walk in the woods along the ridge overlooking the arsenal at Picatinny Peak. 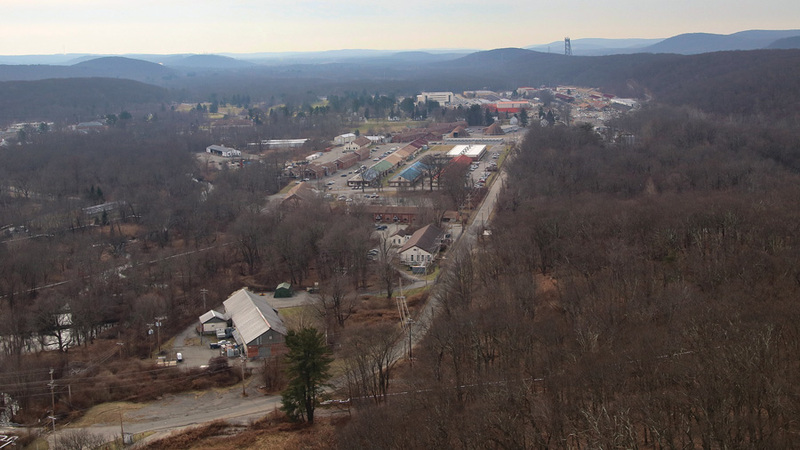 Seen from Picatinny Peak, the arsenal stretches to the southwest through the valley encompassed by surrounding hills. We walk easily through thinned-out winter brush towards massive rock outcrops left at the retreat of the Wisconsin glacier ten thousand years ago, places from which the Paleo-Indians would have observed game movements in the valley below. Some of the forest is ancient and magical, having possibly escaped the ravage of colonial clear-cutting for charcoal. We arrive at a tree that bends across the terrain before making its escape toward the sky. Ms. Caldara calls it an “earth crawler”, manipulated by the Lenape to grow horizontally just above the ground like a directional sign to a place further off along the ridge. She points out another, smaller limb that also juts horizontally from its base, with an upright section of trunk that may have formed a “portal” against the larger tree. “Whether portals signify the different realms in Lenape belief (that passing through one brings the seeker to a desired place or state of mind), or that shamans used them as ways to enter or leave other dimensions, or whether they are just symbolic, I do not know,” she describes. Annie explains that the manipulation of trees is a cultural life-way still taught by the Lenape, somewhat akin to the Japanese Bonsai tradition and other techniques of arbor culture. 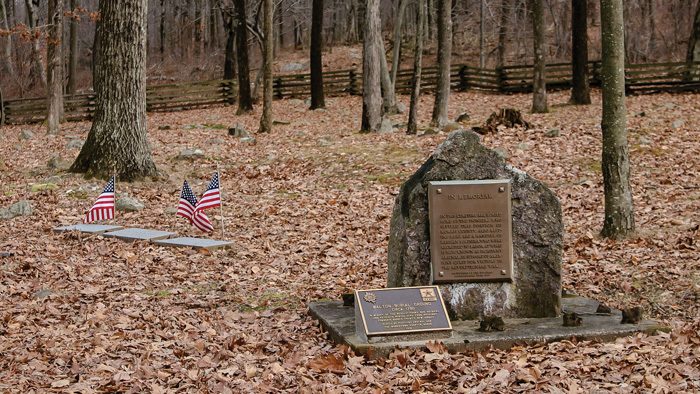 Above: The Walton Burial Ground memorializes three Revolutionary War soldiers buried here among many other early settlers and their families. Below: The gravestones of John and Anne Walton. The last stop on our tour is at the Walton Burial Ground where we walk among the graves of settlers dating back to the days of Middle Forge. 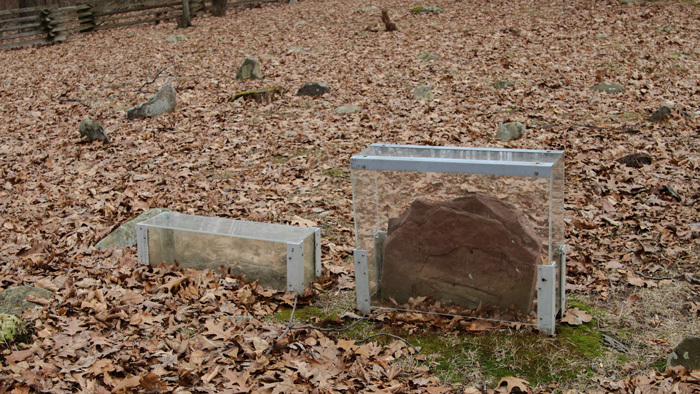 Agnes Walton was the last person interred there in 1884, near predeceased members of her family whose stones are now protected under acrylic covers. Recent archaeological investigation has documented more than eighty graves there from families other than the Waltons, suggesting that there were perhaps two separate graveyards within this neatly fenced area. Most of the worn stones peek just above ground level marking graves hidden beneath the fallen leaves. Modern headstones memorialize three graves of Revolutionary soldiers with familiar names—Burwell, Wiggins, Doland—early American families that settled here, where many more had lived before. Our trip with Jason has given Picatinny Arsenal new meaning to us outsiders. No longer a walled-off enclave of mystery, the valley now has meaning and character beyond even the arsenal itself. Mr. Huggan seems to love his work. That is fortunate because there is much left to document in Picatinny’s long and intricate history, and many stories left to be told about this valley.